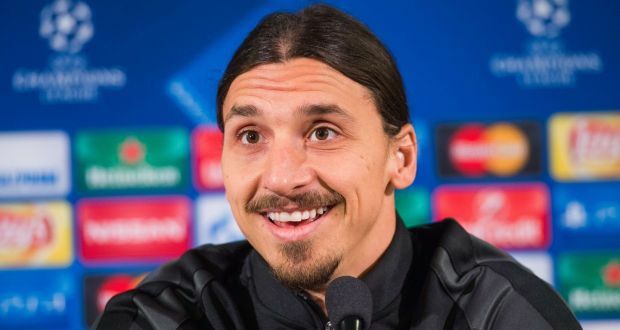 Multiple news outlets are reporting that Chelsea have made the first move in landing Zlatan Ibrahimovic who recently revealed that he does not plan on playing in France next year. The 34 year old poacher is confident that he can still make an impact in the Premier League and is fielding offers from Chelsea, Manchester United, and Arsenal. Although Chelsea are willing to offer the striker a two-year deal worth 10 million pounds per season, it’s possible that Ibrahimovich turns them down. The pervasive belief that Jose Mourinho will end up as the gate keeper at Old Trafford and the manager and Swede’s relationship have people speculating that Zlatan may see himself best in red. Mourinho and Zlatan go way back, both are fond of one another. Given Chelsea’s falling in the league and United’s currently stagnated offense Ibra could be a two-year fix that give Martial room to grow and Depay time to find his footing if he remains in the fold at Old Trafford. The Swede likely isn’t looking to join the Premier League at the middle of the table with little time left in his Premier League career. Trophies, winning, these are the things that speak to Zlatan, so if Manchester United gives chase expect Zlatan to respond.